Talent knows no borders. 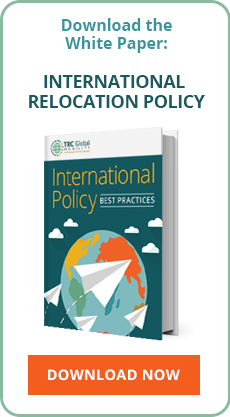 Yet many organizations find that the complex logistics inherent in international relocation can thwart the company’s broader talent management strategy. With 30 years of experience and comprehensive resources worldwide, TRC’s employee-owners have helped companies to realize their global talent management strategies on six continents. We develop a deep understanding of each client’s talent management objectives and the objectives for the assignment at hand. Our employee-owners are experienced in working with short-term assignees, permanent transfers, localized expats, global nomads and more, making us uniquely suited for today’s varied assignment models. Drawing from a complete range of expat relocation services and our formidable network of WorldSource™ global destination service partners, our dedicated Global Assignment Counselors can provide precisely the assistance you need. As TRC’s “on the ground” resource in 150+ countries, our carefully selected and trained WorldSource™ destination service partners are local experts. More than just providing local expat services, they smooth the settling-in process, acting as trusted advisors and confidantes. And TRC’s respected partners for visa and immigration services, language training, spouse counseling and other key services allow us to offer a fully informed, well-rounded view of each country’s unique requirements and processes. Our collective expertise means that TRC clients and employees are fully prepared for any global destination—even less developed locations—well before departure. From pre-decision, through international home finding assistance and repatriation, TRC’s global mobility services free our clients from day-to-day program management burdens and allow our clients to focus on recruiting, developing and retaining the talent they need to succeed in a competitive marketplace.